Engineering solutions to provide smart, sustainable and cost effective answers to engineering challenges. Artech Engineering Solutions works on the fundamental elements of the MEP design process inclusive of establishment of objectives and criteria, synthesis, analysis, implementation, testing and evaluation. Artech Engineering Solutions design group have a diverse range of experiences and carries the multi stepped engineering design process including the research, conceptualization, feasibility assessment, establishing design requirements, preliminary design, detailed design, final designs. We work diligently to provide engineering solutions that are within the clients’ budget and schedule requirements. Artech Engineering Solutions believes that Designing efforts are useful only when the design has been apprehended in engineering drawings and supporting engineering data. In other words, engineering drawings and data require engineering document control. Document control for engineering drawings is comprised of both document attributes and a defined control process. Owning organization, which is ultimately responsible for the document content. Engineering drawings describe how to consistently reproduce the design. AES works dedicatedly for Consistent engineered drawings, since it forms the basis of and projects outcome. We build drawings/models of your projects as per Industry best practices, bringing along our experience and expertise. We draw and model with in our sector of work at various stages of design and construction. Through our drawings we aim for client satisfaction, value addition and customer service. Our working is completely process driven and result oriented. We strive to continually improve and update our process and systems to stay in tune with the modern technology. We work very closely with the client to provide accurate assessments, recommend alternatives, and thus provide an environment that is highly functional, safe and aesthetically agreeable to the client. We work very closely with the client to provide accurate assessments, recommend alternatives, and thus provide an environment that is highly functional, safe and aesthetically agreeable to the client. Artech Engineering Solutions also got into Implementation and execution as we believe design to implement. Implementation of a project is the step where all the proper planned activities are put into action. 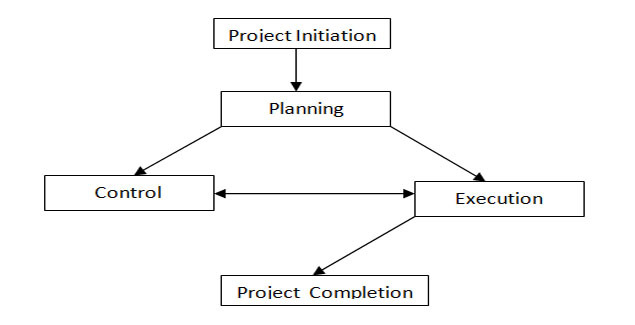 Implementation process involves preparing, deployment, maintaining and use of the final product of the project. Execution process involves coordinating people and resources, as well as integrating and performing the activities of the project in accordance with the project management plan. Take action, in-line with the plan and / or contract. Record and document all the work, work results, special events, decisions about changes, implementation of changes, etc. Analyse, communicate, report, and document status and results of action, in-line with the plan and / or contract. Take decision if and what kind of change we need, in case any result (or action) is not as required. Implement agreed changes, in-line with the plan and / or contract. Under Project Management we handle planning, organizing, securing, and managing resources to achieve specific goals.It consists of the processes used to complete the work defined in the project plan to accomplish the project's requirements. Under PMC we provide owners with the management and process tools for a successful building project. Escalating unmanageable deviations to next level. Closing the gap between plan and deviation.